The saying goes: If you dont stand for something, you will fall for anything. Do Americans stand for anything? Or is America helpless in the face of the radical beliefs of others? America is NOT at war with Islam. Like it or not, however, it has been challenged to a war with Islamic jihadists abroad and within our own borders. Our military and law enforcement resources are vital in this fight, but inadequate to fully counter an ideological threat. There are philosophical and even spiritual dimensions to the conflict where the issue will have to be ultimately decided. Jihadists have demonstrated their willingness to strive for their goals for as long as it takes and to die for them if necessary. Is there anything so compelling for Americans? 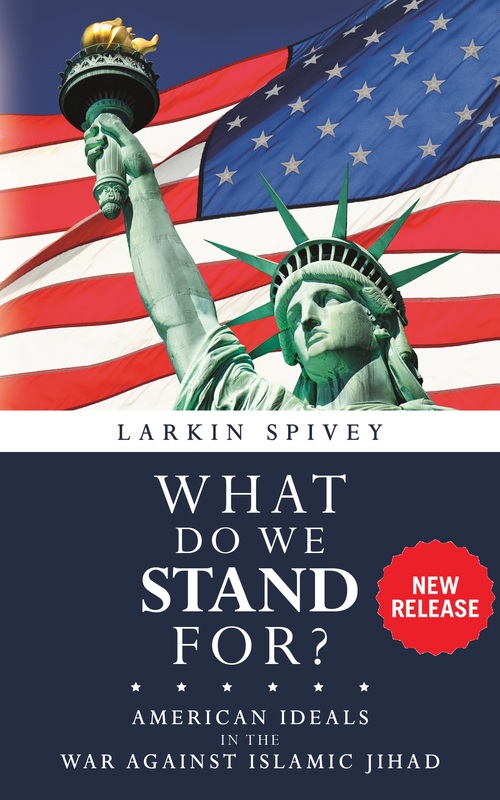 In this short new book, Larkin Spivey answers this question, clearly and specifically. He appeals to every American, not just the religious or conservative, to consider what there is about our nation worthy of our support and even devotion. Every person needs to answer the question for him or herself: What do we stand for? Strong answers will be the only counter to the challenges that lie ahead to the system of government and way of life that we cherish. Larkin Spiveyâ€™s other book share stories that demonstrate God's providential hand in American history and the personal experiences of soldiers, sailors, and Marines in times of war. © Copyright Larkin Spivey 2009-2014 | All rights reserved.